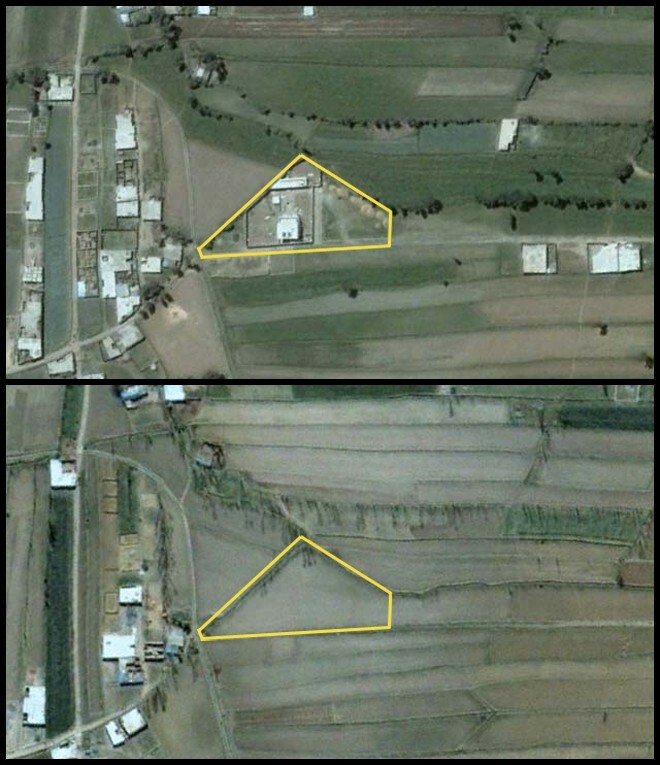 A before and after shot of the Abbottabad Compound, site of the Navy SEAL raid on Osama bin Laden. 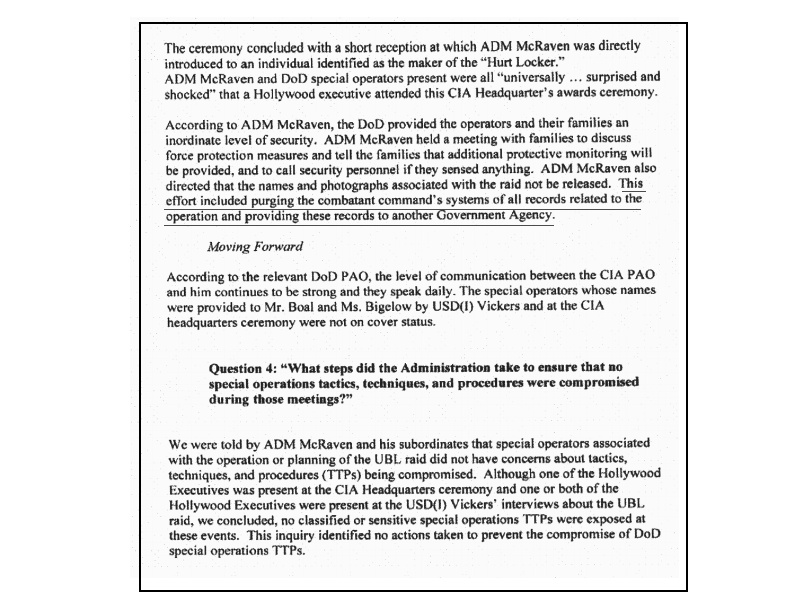 Adm. McRaven seems to be trying to erase the US records of the raid the same way Pakistan tried to erase the compound itself. An accurate account of Operation Geronimo —already muddled in the days after bin Laden’s death by what White House press secretary called the “fog of combat” and conflicting versions of events which falsely said that bin Laden was armed and even firing at the SEALs, misidentified which of bin Laden’s sons was killed, and incorrectly said bin Laden’s wife died in the shootout– will now be harder to obtain. Adm. William McRaven, the nation’s top secret special operations commander, ordered the Department of Defense to purge its computers of all files on the Navy SEALs raid on bin Laden and send them to the CIA. This decision was only recently revealed in a draft report by the Pentagon’s inspector general –and expunged from the final version– which was obtained and published last week by the Project on Government Oversight. The almost-secret decision to transfer the files, ostensibly done to protect the identities of the SEALs involved (the same SEAL team whose members have already begun writing best-selling books and granting tell-all interviews), was made under the pretense that the SEALs were effectively working for the CIA while conducting the raid, and thus all the files were CIA records. That’s the government’s take, anyway. What the transfer really did was ensure that the files would be placed in the CIA’s operational records, a records system that –due to the 1984 CIA Operational Files exemption— is not subject to the FOIA and is a black hole for anyone trying to access the files within. The move prevents the public from accessing the official record about the raid, and bypasses several important federal records keeping procedures in the process. 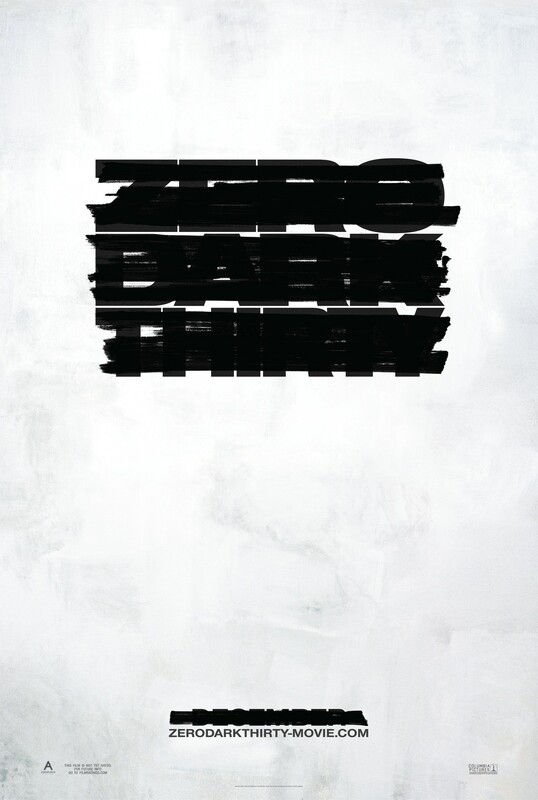 The Zero Dark Thirty Movie Poster accurately reflects the redaction of our history. Upset by the Pentagon and White House’s open-door policy with Hollywood, misleading statements in press conferences, leaks (gasp!) of national security information to magazines, and the official administration position that any official release of documents could harm US national security, the Archive published an electronic briefing book documenting the public’s attenuated record of the most important American military action of the twenty-first century. The officially disclosed record is anemic. And thanks to the DOD’s transfer of files to the CIA, it’s likely to stay that way. The desire to protect the identities of the SEAL team involved is understandable. However, maintaining secrecy of a covert operation by providing Hollywood nearly unfettered access to the official record while denying it to the public is nonsense. Transferring the files makes them more difficult for the public to access, bypasses federal procedures, and is antithetical to the FOIA. Hopefully the Obama Administration will realize the mistake in appearing “anti-transparent” by allowing the CIA to hide the record on its singular achievement, and will change course and compel the agencies to disclose what the public is entitled to.